You have already made your dream come true. Now it's time for those little extras. 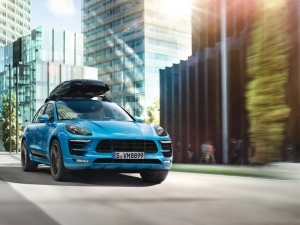 For the interior or exterior, with Porsche Tequipment, you can design your vehicle according to your individual wishes. T-shirt - Porsche Motorsport Fan - Le Mans "Rothmans"
T-shirt - Porsche 911 RSR - Le Mans "Pink Pig"